Thai media has reported that immigration chief Lt-Gen Surachate Hakparn has been ordered transferred to an inactive post. The order - numbered 232/2562 - was made by the chief of the Royal Thai Police General Chakthip Chaijinda on Friday. It has only just been confirmed after rumors were flying about in the Thai press over the last 24 hours, various Thai news sties, including Sanook News and Thai language daily Khaosod reported on Saturday afternoon. The poster boy of the police force known for his crime busting exploits with the tourist police and as part of the tech police has been ordered to go to RTP HQ immediately. He is to cease all his other work and go to the 20th floor of Building One. He will stay there indefinitely, according to the order. 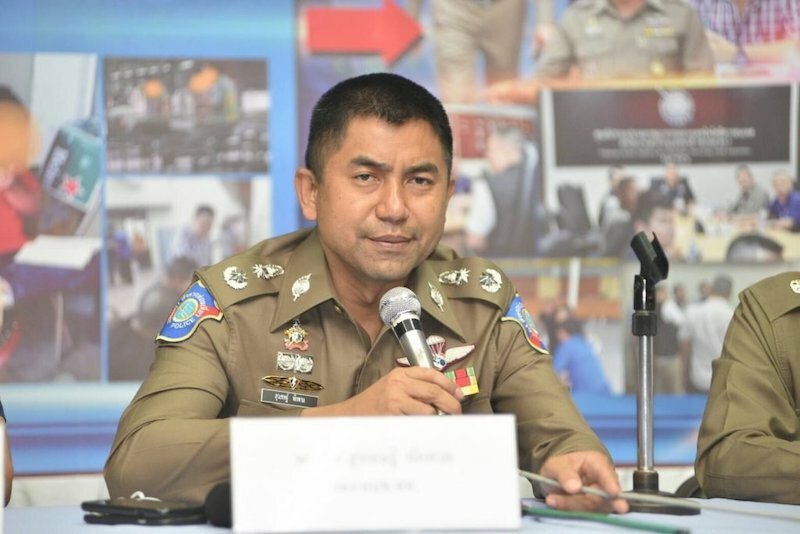 Known as Big Joke in the media Surachat became head of the Immigration Bureau just last September but continued to be involved in many aspects of crime especially that involving foreigners and transnational cases. No reason has yet been given for the transfer. "No reason has yet been given for the transfer." unlikely it will ever be given, however, don't let that get in the way of speculation.... let me start the ball rolling - toes trodden-on. Sounds as if he is being ordered to all but stand in the corner with a dunce cap on. The poster boy of the police force known for his crime busting exploits with the tourist pol﻿ice and as part of the tech police has been ordered to go to RTP HQ immediately. does this mean all the crazy new rules regarding extensions will be reversed? And then all of his changes where reversed and we all woke up like it had just been a bad dream. Can’t wait for the front page photo of him surrounded by cops in the Nana Hotel parking lot…wearing an orange t-shirt and a face mask..
Reasons are: Auditors discovered the numbers of foreigners arrested and supposedly removed did not match the numbers announced by BJ. BJ always stated that there are no more overstayers in the kingdom, fake info. maybe they had to retire him before he could be nominated for PM. Hopefully, the windows cannot be opened. Maybe not reversed but hopefully put in a locked filing cabinet in a storage room somewhere and ignored.